Wow! Between work and actually reading these books, the blogging part of Project 84 has really fallen to the wayside. Which is a shame, because one of the aspects of this process I was most looking forward to was sharing my love of reading with the world, and sharing my journey through 84 books. But I haven’t forgotten about you, my awesome readers! 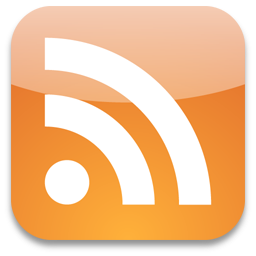 In fact, I am making a point to devote more time to the actual blogging part of this blogging project. 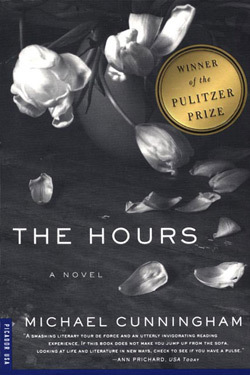 The Hours is one of those books that I’ve been “meaning to read” for a long time. I’m a huge Michael Cunningham fan. I read A Home at the End of the World in high school, and loved it a ridiculous amount. I tell this story a lot – but A Home at the End of the World is one of those books where when I see someone reading it on the subway or train, I’m jealous because they get to experience it for the first time and I don’t. So I had high hopes for The Hours…and it did not disappoint. The book follows the lives of three women over the course of one day. The first is Virginia Woolf, who is living in the country and working on writing Mrs. Dalloway. Another is Mrs. Brown, a discontent housewife from the late 40s, who is planning her husband’s birthday party while also stealing away to read Mrs. Dalloway. And the third is Clarissa Vaughan, a lesbian in the early 2000s who is planning a party for her old friend, a literary superstar who is dying from AIDS. I want to outline more of the plot, but the truth is, there isn’t that much more to the plot – and therein lies the real beauty of this book. I have read quite a bit of Virginia Woolf in my day. I became a little obsessed with her in high school, and took two classes in college that centered on her work. I have read Mrs. Dalloway, and had a vague understanding that The Hours was “based off that book”, but I had no idea just how much. 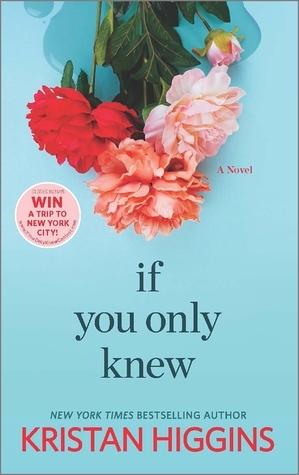 The narrative of this novel mirrors Mrs. Dalloway in so many ways. In subtle instances – both Mrs. Brown and Clarissa are hosting a party – to more on the nose allusions - Clarissa’s name, of course, and the fact that her partner is named “Sally”. Even the prose, a kind of stream-of-consciousness writing complete with flashbacks, is reminiscent of Mrs. Dalloway and other work of Virginia Woolf. I could probably go into all the ways The Hours is a sort of bizarro-Mrs. Dalloway (even the title is stolen from the original title of Mrs. D), but this is a review of the book, not a comparison paper, so I will move on. Suffice it to say that I liked the ways that the two works are similar. The Hours took a little while for me to get into. About 100 pages, actually, which is a lot in a 250 page book. I think I was expecting it to be more like A Home at the End of the World, and when it was more of a Woolf-esque stream of consciousness, it was a bit jarring. I was almost disappointed for the first half of the book – I had expected to tumble into it, and that didn’t happen right away. But, somewhere around page 100, the book grabbed me – and, after that, I was wrecked. I was almost haunted by the narrative, by the subtle truth of what he was saying, and of how these women lived. It was beautiful, and sad, but mostly real and true. I related to all three of them, but they weren’t carbon copies of me. And there was something even more real in that – a realization of a sort of female shared experience, but that we aren’t all the same. In addition, I respected what Cunningham was saying about the Woolfian idea of suicide being almost noble, a release. 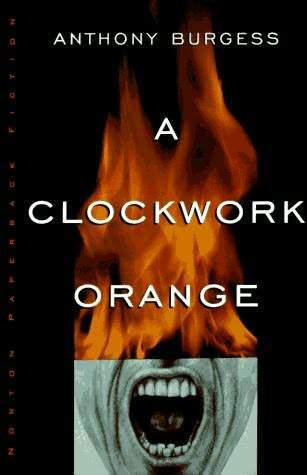 There is more than one section of the book that focuses on suicide as a reality. And whether or not it was Cunningham’s intention, I couldn’t help but be marked by the selfishness of what suicide is. And I do think that’s at least part of what he was trying to say. All in all, The Hours was an amazing book. I recommend it to just about everyone – but you have to be prepared for what the book is. It takes a while for it to grab you, but be patient. You’ll be so glad you stuck it out. I am so glad that I finally sat down to write this post. I wanted to recommend this book so badly, and even if my review got a little stream of consciousness and Woolfian in it’s own right, I’m still really happy with this one. – but, as you can all see, I’ve only posted 3 blog posts. So I’ll be trying to focus a bit more on the posting in addition to the reading. The good thing is, the books just seem to be getting better. I keep giving myself a mental pat on the back for my selection, because I would recommend 4 of the 5 books I’ve read so far, a good return. I even found myself moved to tears by this last 1001 Books to Read Before You Die book. In an attempt at full disclosure, I have to come clean right away: Atonement was not an easy book to get through. You know how sometimes you pick up a novel and it feels like you’re just flying through it? You can’t wait to get home so you can read more of it? And when it’s over, you feel like the time flew by? Atonement is not that book. That’s not to say I didn’t enjoy it. 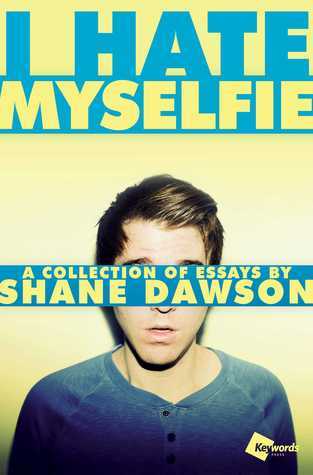 I thought this book was beautiful. The writing was top notch, the imagery was incredible, I cared about the characters. I mentioned it at the top of this post, but the last few lines of the novel actually moved me to tears. I found it touching, and compelling, and, above all, sad. But that does not mean it was an easy book to get through. I want to start with the plot summary, and I’m going to be a bit liberal with my use of the spoiler cut. Keep in mind that I won’t be ruining the book for you if you read what’s under the cut – and most people know the basic plot from the movie that came out a few years ago – but I want to be cautious in case someone wants to go into it blind. The book begins during summer vacation at the Tallis family’s estate. The only son, Leon, is coming home, and his younger sister, 13-year-old Briony, has written a play to herald in his return. She has elicited the help of her 3 cousins – 15-year-old Lola and her twin brothers – who are visiting while their parents go through a divorce. Meanwhile, the novel switches perspective to Briony’s sister, Cecilia, who is engaging in a complicated courtship with the housekeeper’s son, Robbie. After reading a letter not intended for her eyes, Briony decides that Robbie is dangerous for her sister, and that she must look out for Cecilia. After witnessing an intimate encounter and believing that her sister was “attacked”, Briony tells the family that Robbie had sexually molested her cousin, Lola. The rest of the book takes place in the aftermath of Briony’s confession. It takes us to war with Robbie, to the hospital where Briony is training to be a nurse, and all the way to Briony’s old age. As expected, the theme of the novel is Briony’s “atonement” – knowing the horrible thing she did, and working to make it right. The plot of this book is interesting and compelling, but I would argue that it’s not the plot itself that makes Atonement intriguing. 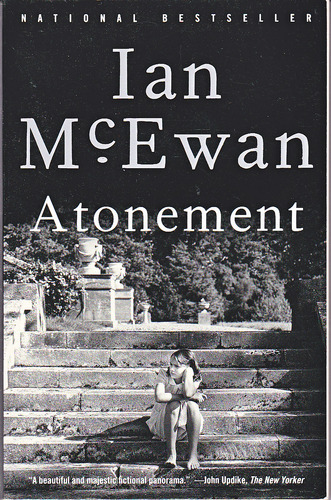 The real content of the book centers around an entirely different idea than atonement: rather, it is what McEwan has to say about perception. Later, when Robbie is trying to reconcile why Briony did what she did, he hearkens back to a time years ago, when Briony confessed to a crush she had on him. He has decided in his head that this must be why she lied – because she was jealous of her sister, jealous that she had what Briony wanted. See? It’s all about perception. It’s all about how we reconcile an event in our minds. Is it true? Does it matter if it’s true? All of those are questions posed to the reader, and questions that you can’t help but consider. Briony lies about seeing Lola's attacker, and identifying him as Robbie, because she has convinced her 13-year-old mind that Robbie is not good for her sister. 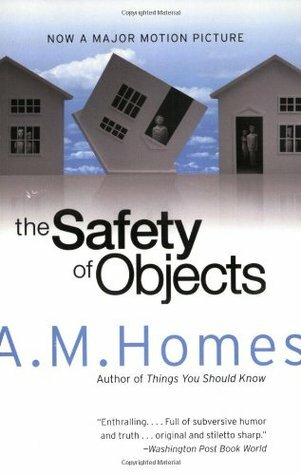 It is her perception that destroys two – arguably three – lives. It is through these differing perceptions, these no doubt unreliable narrators, that I become most connected to the book. Are the characters always realistic? No, not really. But that idea that our perceptions color reality – in fact, our perceptions form our reality – and that other people can be affected by those perceptions is very realistic. It’s a way to look at the world that I find not only compelling, but worthy of further consideration. I feel about these characters. I feel real emotion while reading. When she makes up her story, I’m so angry at Briony. I’m so angry at her. I feel terribly for Robbie. He saves those little boys, and then his life is ruined. I might actually hate Briony, but also feel badly for her. Like her decisions were the best she could do. I cried at the end, and I was shocked. I knew I felt for this book, I knew it evoked emotion – but there’s something so sad about this story. It’s beyond a sense of “I want this to end differently”. In fact, I think there’s a real beauty in the way the book ends. I want the events to be different. I want it to not have happened. But it did. And that’s so real for me. Atonement was not easy to read. It slows in the middle, and some of the detail can be hard to get through. That being said, I enjoyed the book. Hell, I cried at the end – so it had a clear emotional effect. If you have a little time to invest to a really great book, I would recommend Atonement. I have already finished Book 5, so I’m hoping to get the review up within the next couple of days. Even though it’s taking me a little longer than expected to post the entries, I’m enjoying Project 84 so far. It’s kept me reading, and I’ve already finished 5 books that I’ve been “meaning to read” forever.